You have been smart. You created an awesome lease with a great break lease clause, and used screening criteria. Once you have screened your tenant, signed the lease, exchanged keys, and received rent you may or may not have a smooth tenancy. 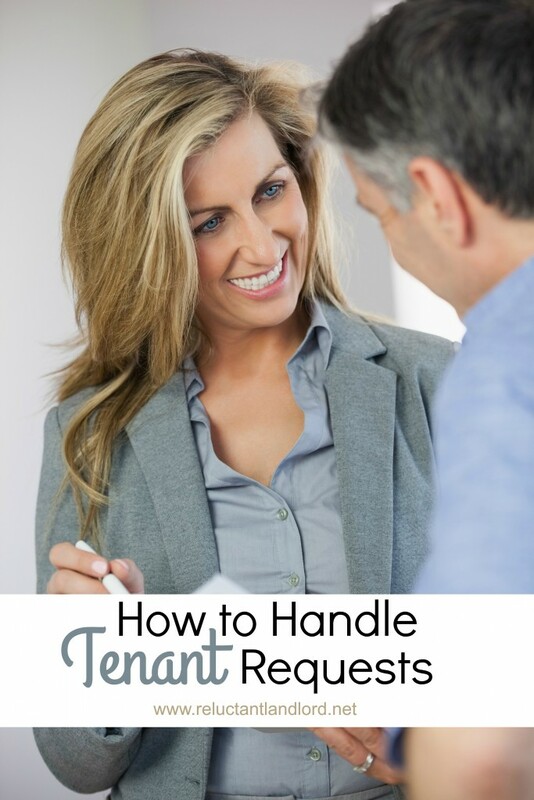 Honestly, it is up to you and how you handle tenant requests. Some tenants are dreams and you will NEVER hear from them again and there are some who need some training as they do not understand tenant/landlord expectations. Remember giving in is NOT the answer! 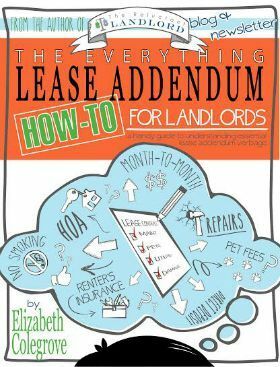 You have a lease — it is your Bible. Use it as so. I believe in treating others like you want to be treated! At the same time this is a business. Evaluate every request with an open mind – Remember this is a rental. Things need to be repaired, clean, and safe. At the same time, this is not a personal residence and you do not have to upgrade for taste requirements. Therefore, if it does not fit with your rental plan you have every right to say no. Turn No’s into Yes’s – I try really hard to always provide my tenants yes’s or options when I have to say no. So instead of saying no to an upgrade or desire, I evaluate if it will harm or help resale or future tenancy. If it will help or stay neutral I will approve the request in a professional manner AND at the tenants’ expense. Hold Your Ground Against Bargaining – Remember it is human nature to bargain. We all want to get the best deal. When life changes it’s human nature to feel like you can talk your way out. So don’t take it personally when tenants try to talk their way out of the responsibility that the lease requires. Always respond in a polite tone and remind them where they are required to perform per the lease. For example, my break lease is everyone’s favorite “Can we discuss it?” area. The lease is an amazing resource because per Fair Housing you cannot discriminate. I always tell everyone that unfortunately these are the rules. So far I have never had an issue when I refer them to the lease. Just remember to stay calm! You only lose when you lose your calm and act like a non-professional. You are allowed to say no, the customer is not always right, you just need to be legal.